This op-ed originally appeared the in the Tennessean. Insure Tennessee proponents claim that Gov. Bill Haslam’s proposal will solve our state’s well-documented health crisis. But in reality, it amounts to little more than a ploy to use taxpayer money to give barely half the uninsured population — just 450,000 out of 850,000 uninsured — less-than-stellar health insurance coverage. Instead of trying to solve our health care problems by spending someone else’s money to expand government health insurance, we should focus on two other primary contributors to the health policy equation: human ingenuity and patient access. Utilizing each will allow us to focus on expanding access to care for all Tennesseans, not providing mere coverage to some. Let’s start with human ingenuity. We don’t need to look far to see the impact that innovation has made on our daily lives. Technology is accomplishing miraculous feats across the spectrum, with exciting developments for the medical community. New Apps like Pager, an “Uber for doctors” urgent-care house call service, and Apple’s ResearchKit for ongoing managed care are customizing patient treatment options using individual skills and low-cost resources — and these new services are just scratching the surface. When we think about how 3-D printing has revolutionized the medical device field, enabling the handicapped to receive mechanical hands for $40 instead of thousands, the possibilities start to seem endless. The horizon could be the limit if unnecessary government regulations didn’t stand in the way. We need to free up the marketplace, identifying and removing government barriers to human ingenuity in the medical community. Let’s pause to consider how the welfare state has grown. In 2007, 50 million people nationwide were on Medicaid. Today, that number has skyrocketed to more than 70 million and climbing. Yet, one Oregon study — the only robust and direct study on health outcomes of Medicaid beneficiaries to date — found no measurable health improvements to enrolled individuals beyond slight positive effects on mental/emotional health. Rather, the study concluded that in some cases, individuals were better off before they were enrolled in Medicaid. Why? Because Medicaid operates using just one component of the three-pronged equation: money. Forget human ingenuity and access. Call on Congress to block-grant federal Medicaid funds so the state can create Health Savings Accounts (HSAs) for enrollees and establish a catastrophic care pool. Doing so will give individuals a stake in the game, allow them to decide what services they need and when, enable them to find doctors willing to treat them, and have the same access to high-quality care regardless of income status. Not only would this simple approach expand access to care, the state could save at least 10-12 percent on costs, if not more. Expand access to charity care. We should allow charity care clinics to be included as “in-network providers” for insurance coverage, create charity care heat maps alerting individuals to their locations and services, and lift the scope of practice regulations that prohibit qualified caregivers from performing charity care. Embrace telemedicine. A mix of human ingenuity and access, this solution would use technology to connect doctors with patients more cheaply and conveniently. Imagine being able to walk a block to a small clinic in rural Tennessee only to be examined by a top-notch Vanderbilt doctor a hundred miles away from the comfort of his own office. These solutions will truly help Tennesseans most in need. By unleashing human ingenuity and addressing access, state lawmakers can plow a path forward, providing Tennesseans in need with meaningful care, not just hollow coverage. 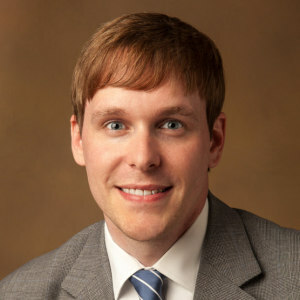 Justin Owen is the president and CEO of the Beacon Center of Tennessee. Lindsay Boyd is the center’s director of policy.